We’re back with another exciting startup this week. Kazoova is the place to find quirky & unique activities in London. If you’re putting together an interesting class or meet-up, it is also the place to find fun people to join you. Hosts post activities, classes & projects in London and guests sign up for them & pay via Kazoova. Think of it as a modern & more secure local event pin board. 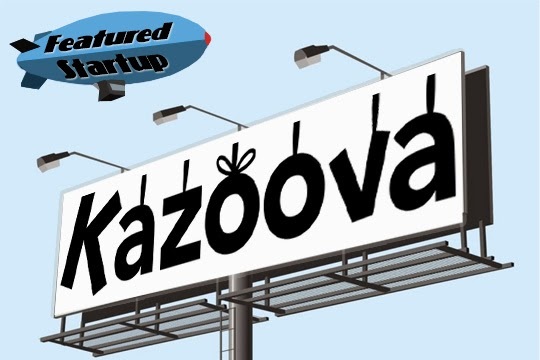 There is a lot on Kazoova that you otherwise would never hear about. Right in your own backyard there might be a mushroom foraging class or a one-on-one fencing lesson! Kazoova had an interesting start; one of the founders was staying with friends in Norway and heard a news story there about a woman who had lost her husband, son, and brother & her desire to find a kind-hearted family to spend Christmas with. Hundreds of people responded, and it was that outpouring of community spirit and camaraderie that inspired Kazoova. The idea that everyone in a community has something that they excel at that could be shared with others is what drives Kazoova’s founders - and makes for an exciting & fun startup that we’re glad to share!